can lead to new sustainability business models and innovation.” In other words, it’s a giant think tank for corporate sustainability. 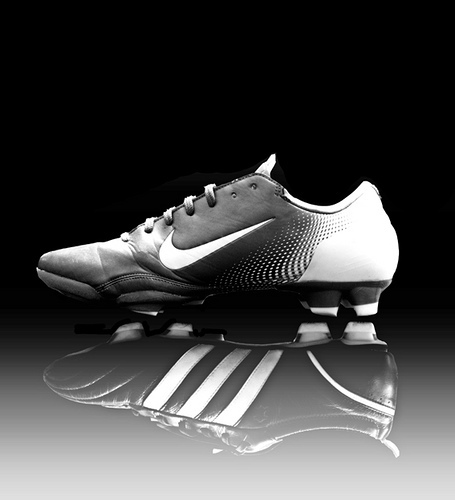 The idea for GX came from “Wikinomics” author Don Tapscott and Nike’s Sustainable Business and Innovation Lab. The lab imagines that one possible subject for the GX is Nike’s Environmentally Preferred Rubber, which has 96% fewer toxins than Nike’s traditional rubber. If licensed on the GX, other footwear companies like Mountain Equipment Co-Op might be able to get greener footwear to market more quickly than if they had to come up with similar technology by themselves. Participation in the GX doesn’t mean companies have to reveal all information about a certain product–instead, they are offered a number of licensing structures, including research and attribution recognition, non-competitive use and simple fee structures. In a sense, the GX reminds us of Walmart’s recently launched sustainability consortium–a conglomeration of non-profits, companies, and educational institutions working to develop methodologies, tools and strategies to make supply networks more transparent. It’s not a coincidence that these organizations are starting to pop up at the same time. Corporations are finally realizing that sustainability is the key to thriving in the coming decades. And they will fail or succeed together.